The book contains 100 adverb-saturated flash-fiction stories, written by 72 authors who submitted their glorious, adverbially-overloaded wordage to Mike’s Not-Entirely-Serious Wantonly-Rule-Breaking Adverb Writing Challenge. Adverbially Challenged Volume 2 is available from Amazon in print and Kindle eBook formats. Adverbially Challenged Volume 2 contains 100 adverbially-rich stories submitted to Mike’s Not-Entirely-Serious Wantonly-Rule-Breaking Adverb Writing Challenge. 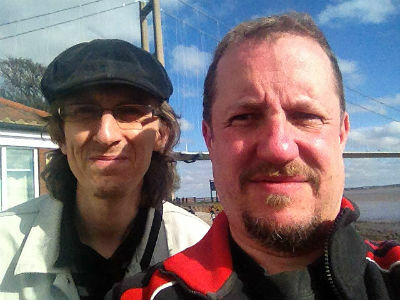 The challenge is the brain-child of Mike Scott Thomson. He came up with the challenge while writing a post for my website. The adverb writing challenge opened in April 2016. Adverbially Challenged Volume 1 was released in November 2016. Adverbially Challenged Volume 2 was released in March 2017. At the time of writing, we've already received over 30 submissions for Volume 3. 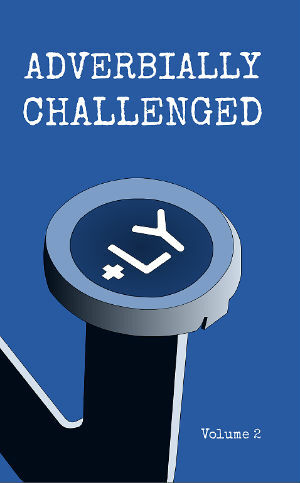 At the time of its release, Adverbially Challenged Volume 2 is the second writing challenge anthology released. It's the first time we've trialled a book launch strategy. This is to help generate more sales, gaining exposure for the authors featured in the book and raising more money for charity. We're planning to use launch strategies for all future anthologies, refining them as we learn what works best. You can learn more about the launch process here. All the writers in Adverbially Challenged Volume 2 submitted their stories to Mike's Adverb Challenge which is one of the many writing challenges run on my website. Adriane Kirkbright, Alex Wilson, Allen Ashley, Bartle Sawbridge, Betty Hattersley, Binyamin Bashir, Bryan Smith, Christopher Fielden, Daniel Prestwich, Deborah Price, Diane Caldwell, Ellena Restrick, Emma Mulvaney, Florence Caplin, Frances Leggatt, Glen Donaldson, Helen P Stephens, Helmine Kemp, J. Rosina Harlow, Jade Slee, Jamie Caddick, Jenny Gaitskell, Jerry Wilson, Joan Withington, John Galloway, John Notley, Joseph Hancock, Judith Wolfgang, June Lee, June Whitaker, Kate Mulvaney, Kate Vane, Kathryn Watson, Laura Besley, Laura May, Lesley Truchet, Lilian Indombera Musundi, Linda Tyler, Lorna Gillies, Lydia Stott, Maggie Davies, Margaret Edwards, Mark Johnson, Mark Rutterford, Mathijs Koenraadt, Mel Ciavucco, Melanie Rees, Meredith Schulhof, Merryn Byrne, Michael Rumsey, Mike Scott Thomson, Mumtaz Waliat, Namita Mukherjee, Nick Davis, Nige Street, Paul Phillips, Peter Collins, Rebecca Henderson, Richard L. Moriarty, Ros Byrne, S.B. Borgersen, Sandra Orellana, Sarah Aston, Sarah Wilde, Sheila Gray, Sophie Mulvaney, Stephanie Sybliss, Teddy Hester, Tracey Maitland, Valerie Griffin, Verity Hemp and Zaheer Babar. You can learn about First Story on the about page on their website. You can find out the details of how much money has been raised, how many authors have been published and many more interesting statistics on the main writing challenges page. 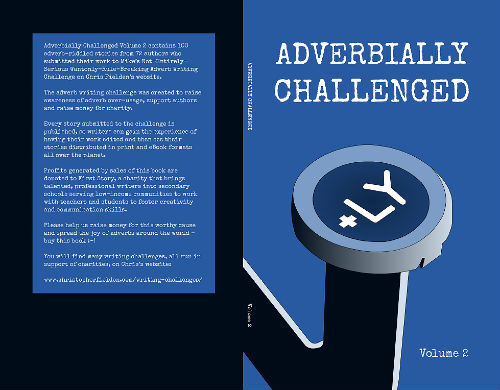 David Fielden designed the cover for Adverbially Challenged Volume 2. 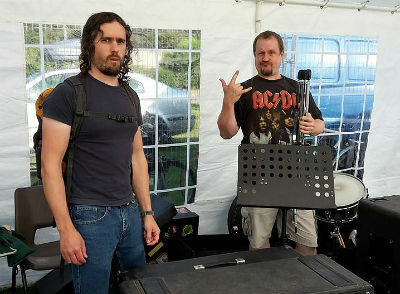 Dave is my brother. Isn't he pretty? Yes. Yes he is. Many of your adverbially challenged volumes will soon grab the attention of major publishing companies around the world that will soon follow your footsteps in publishing anthologies written by aspiring and published writers from all over the world. You're welcome, Chris. I'm always positive and hopeful. Because I am an optimist revivalist and, as an optimist revivalist, I would never ever give up hope. I'm always certain that I'm make the greatest differences to the world we all live in together.